California State Community College Chancellor, Dr. Brice W. Harris will address AB 1456, Student Success Act of 2012, to the Peralta Community College District. Dr. Brice W. Harris was unanimously selected as the chancellor of the California Community Colleges by the system’s Board of Governors in September 2012. He started on Nov. 6, 2012. 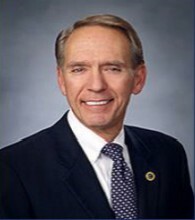 Prior to being selected as the leader of the largest system of higher education in the nation, Harris served 16 years as chancellor of the Los Rios Community College District in the Sacramento region, president of Fresno City College and a faculty member and vice chancellor in the Kansas City, Mo., community college system.